The U.S. government and the U.S. private sector must make serious efforts to improve their understanding of Africa. Africa has long been a blind spot for Westerners. In May 2000, a cover story in The Economist labeled it “The Hopeless Continent.” But more recently, that view has begun to change. Already by December 2011, The Economist had changed its assessment, with a cover proclaiming “Africa Rising.” Economic growth has begun to transform Africa’s image from one of a continent rife with conflict and disease, perpetually in need of outside assistance, to one filled with opportunities for business and profits. Changes in Africa’s economic fortunes have led many countries to pursue opportunities there—potentially displacing options for U.S. companies. The most aggressive of these has been China. By 2016, China had become Africa’s largest trading partner, foreign job creator, and source of foreign direct investment. In late July of this year, in the first foreign trip of his second term, Chinese President Xi Jinping completed a multi-country tour of Mauritius, Rwanda, Senegal, and South Africa. Chinese investment has alerted other countries to the financial possibilities of the continent. Indian Prime Minister Narendra Modi also completed a multi-country tour of Africa in late July, visiting Rwanda, South Africa, and Uganda. Bilateral trade between India and African countries mushroomed from $5.3 billion in 2001 to over $70 billion in 2013—more than India’s bilateral trade with the United States that year. Bilateral trade between Turkey and African countries grew sixfold between 2003 and 2017, topping $17 billion that year. In all three of these cases—China, India, and Turkey—governments made deliberate policy decisions that have resulted in a rapid growth in their economic engagement with African countries. The maturing of African regional and continental institutions, especially the African Union (AU), has also encouraged more engagement from outside actors. 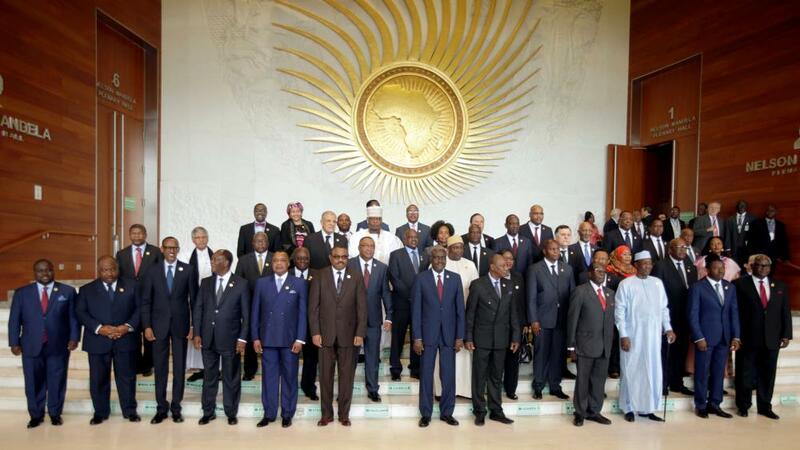 The AU is emerging as a critical and credible political institution. Its host city—Addis Ababa, Ethiopia—has become the third-largest diplomatic capital in the world. The breadth of the AU’s activities on behalf of its member states, from deploying peace support operations to fighting pandemic diseases, has made it a valuable diplomatic partner for governments and multilateral organizations around the world. Finally, the increasing salience of counterterrorism has broadened and diversified the types of security partnerships at play in Africa. For example, Luxembourg, Saudi Arabia, Slovenia, and the United Arab Emirates were all among the financial contributors to the G5 Sahel initiative in 2017 which aimed to counter terrorist and criminal networks operating in the remote regions of Burkina Faso, Chad, Mali, Mauritania, and Niger. China, which has traditionally been reluctant to engage militarily outside of its immediate neighborhood, now has over 2,400 peacekeepers serving in six UN peacekeeping operations in Africa, in recognition of the fact that its business ventures can only thrive in an environment of physical security. 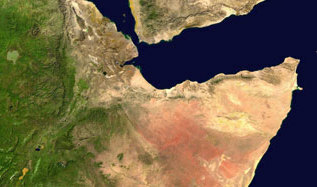 The tiny nation of Djibouti, which is smaller in both landmass and population than the Commonwealth of Massachusetts, is now home to the largest number of foreign military bases anywhere in the world (it hosts forces from China, France, Italy, Japan, and the United States, with Saudi Arabia soon to follow suit). These bases allow their occupants to support maritime operations in the key shipping lanes of the Red Sea. As these international partnerships proliferate, there is a general feeling among African political elites that the United States lacks a coherent policy toward Africa, and that it is ceding its position as a preferred partner to other countries and organizations, especially China and the EU. Trump’s failure to appoint an assistant secretary of state for African Affairs until nearly two years into his presidency sent a very negative signal about the United States’ prioritization of Africa. African officials and other partners privately lamented the long absence of a principal interlocutor in the U.S. government who can systematically advance U.S. policy toward Africa, in Washington or in the field. The appointment of Ambassador Tibor Nagy as the new assistant secretary of state for African Affairs in July 2018 was a welcome development, but he has significant ground to make up in strengthening ties to the continent, and he will need the help of the president and the administration to do so. The Trump administration greatly undermined its own authority during former Secretary of State Rex Tillerson’s disastrous visit to Chad, Djibouti, Ethiopia, Kenya, and Nigeria in March 2018. Trump unceremoniously fired Tillerson while the trip was still under way, which many Africans perceived as further evidence that the administration does not take Africa seriously. Trump’s vile reference to African states as “sh*thole countries” in January 2018 continues to rankle, despite the letter he sent to the AU’s Assembly of Heads of State and Government as they gathered in Addis Ababa just days after the insult, highlighting U.S.-Africa cooperation. To be fair, the White House has made some efforts to reverse the perception of its indifference toward Africa. But even these efforts have often come with further blunders. In September 2017, Trump hosted a working lunch for nine African heads of state and government on the margins of the annual UN General Assembly meeting. After mistakenly welcoming the President of “Nambia” (instead of Namibia), Trump went on to awkwardly acknowledge the increasing economic prospects of the continent by saying, “Africa has tremendous business potential. I have so many friends going to your countries, trying to get rich. I congratulate you.” In April 2018, he hosted President Muhammadu Buhari of Nigeria for an Oval Office visit and Rose Garden press conference during the Nigerian leader’s brief visit to Washington. And on August 27, Trump will host Kenyan President Uhuru Kenyatta for an Oval Office visit—an honor he did not extend to Abiy Ahmed, the young and charismatic new prime minister of Ethiopia, during Ahmed’s July visit with the Ethiopian diaspora in the United States. Instead, the prime minister had to settle for a brief chat with Vice President Mike Pence, a slight that did not go unnoticed by Ethiopians. The challenges to U.S. foreign policy in Africa run deeper than problems of diplomatic etiquette and understaffing. The challenges to U.S. foreign policy in Africa run deeper than problems of diplomatic etiquette and understaffing. For one, the United States has not been responsive to the priorities that African countries have identified for themselves. The AU’s Agenda 2063, the continent’s plan for its development through the middle of the twenty-first century, calls for infrastructure development, security architecture, and advancement in health and education with flagship programs like a high-speed rail network connecting every African capital and the creation of a fully integrated African Continental Free Trade Area. More important, it is a document with high political salience that African officials routinely reference in policy discussions at the continental, regional, and national levels. But the United States has not meaningfully adjusted its development assistance, political engagement, or diplomatic strategy to take into account the importance of Agenda 2063 to African leaders and its relevance to Africa’s partnerships. As one senior African Union official privately told me, “The [Americans] are not in Africa for us. They are here for themselves.” Conversely, one of the expected outcomes of the FOCAC meeting in Beijing in September is synching China’s Belt and Road Initiative with the goals of Agenda 2063 and the UN’s Sustainable Development goals. Given the size of its economy, its diplomatic importance, and its security capabilities, the United States is capable of remaining an important partner in Africa if it changes its course. But the proliferation of other partners with their own interests, combined with African leaders’ increasing assertion of their own needs in partnerships, is shifting the landscape of engagement with non-African countries and organizations. Specifically, it is giving Africans options for partnership that they did not previously have. Accordingly, the government of the United States should consider taking the following steps to reposition its official engagement in Africa. First, the State Department should hold a structured dialogue with the AU on Agenda 2063. Next, Trump should send Secretary of State Mike Pompeo and Assistant Secretary of State for Africa Tibor Nagy to the continent before the end of 2018 to strengthen regional and bilateral relationships. The National Intelligence Council should conduct a formal USG assessment of foreign bilateral and multilateral partnerships in Africa to understand their impact on U.S. interests. And Trump should fully embrace the April 2018 recommendations of the Advisory Council on Doing Business in Africa to develop a comprehensive economic strategy for private sector engagement in Africa. The United States is rapidly losing political influence in Africa, both bilaterally and multilaterally. Africa is not standing still while the United States government contemplates how it should engage and recovers from its blunders. The gains that other partners, such as China and the EU, are making will eventually constrain the options available to the United States for shaping developments on the continent in a way that support its own interests as well as the priorities of African countries. The United States must act swiftly and strategically to adjust its approach to a changing continent, or else it will get left behind.